The SAM Action poll used the same college pollster as Marijuana Policy Project and Drug Policy Alliance used. The pollster found support falls dramatically when it offers respondents alternatives to legalization. The results are in direct contrast to the Drug Policy Alliance, which supports the legalization of all drugs. Emerson College first conducted a poll for pro-marijuana groups, Marijuana Policy Project (MPP) and the Drug Policy Alliance (DPA) . We assert that most public support for marijuana legalization comes because of push-polling and lobbying money for legalization. In the new poll, only 40% of voters support full legalization of marijuana. This clarifies the poll conducted by MPP/DPA finding 60% support when voters only have the choice of legalization or prohibition. The poll was paid for by SAM Action and reflects New Yorkers who voted in the 2016 presidential race. 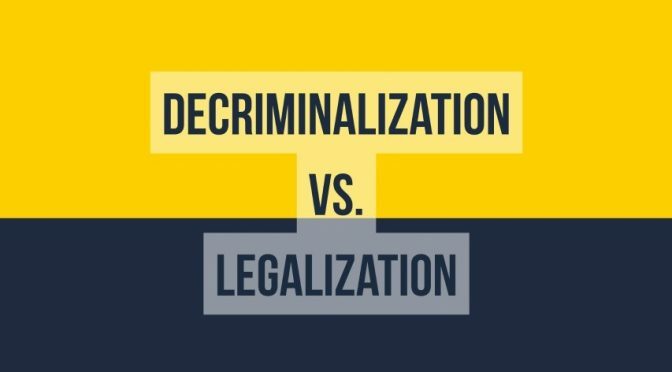 Support for legalization falls 30% when respondents can choose decriminalization, medical marijuana, or the full legalization of marijuana. Given that other polls don’t explain the choice between legalization and decriminalization, this poll more accurately reflects the views of voters. Decriminalization does is not make the substance legal, but it makes the penalties for possession minimal. Authorities typically ignore the penalties and governments take a hand’s off approach to individual consumption. Under decriminalization, the transportation, distribution, advertisement and sale of marijuana remains illegal. People typically don’t worry about pot stores and grows in their neighborhoods. The marijuana lobbyists have convinced Americans that many people go to jail solely for possessing small amounts of marijuana. (There’s no truth to the claim, because many states decriminalized in the ’70s and other states don’t enforce laws.) Typically only those who sell marijuana and other drugs, or plea bargain for other crimes, go to jail for marijuana convictions. When New Yorkers are given a choice, the majority of voters reject pot legalization,” said Kevin Sabet, President of SAM Action. “This poll shows that even after asking voters the binary question of legalization or not — the way the MPP/DPA poll did — support for legalization sinks when they are given other choices. New Yorkers don’t want pot sales and commerce legalized; they prefer either decriminalization and/or medical marijuana. The poll was conducted by Emerson College for SAM Action among 600 voters in New York. The poll’s methods emulated the MPP/DPA poll so that both polls could be accurately compared. This is one of the first polls of its kind to ask about decriminalization, legalization, medical marijuana, and knowledge of the status quo. Last year Parents Opposed to Pot wrote to Pew Research, asking why their polls did not ask the decriminalization option. Pew Research never responded to our letter. Future polls by Gallop, Pew and others can become more accurate if they refuse money from marijuana lobbyists and financiers.